The communication from Samsung regarding the Galaxy Note 7 recall has been pretty streamlined, but the reality in the field is completely different. Aside from the fact that many carriers still minimize the battery-cell issue inside the Galaxy Note 7, some even refuse to exchange them if some conditions aren't met. 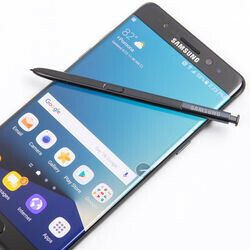 In the US, Samsung announced an exchange program where customers who bought the potential faulty Galaxy Note 7 will be able to switch to a new smartphone, get a refund or ask for a loaner until their replacement unit arrives. In order to make the new Galaxy Note 7 easier to recognize, Samsung announced that the new units will have a white sticker with a blue letter “S” on the box. However, many customers in the US report that their replacement units do not come with such a sticker. Instead, they feature a small black square. On top of that, the new phones don't even come with green battery indicators like Samsung said they would, in order to set them apart from the faulty ones. The new Galaxy Note 7 devices come with the same white battery indicator that's included in most Android smartphones. 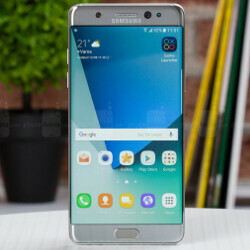 However, there's a safe and 100% accurate method that you can use to determine whether your Galaxy Note 7 smartphone does not feature a faulty battery. 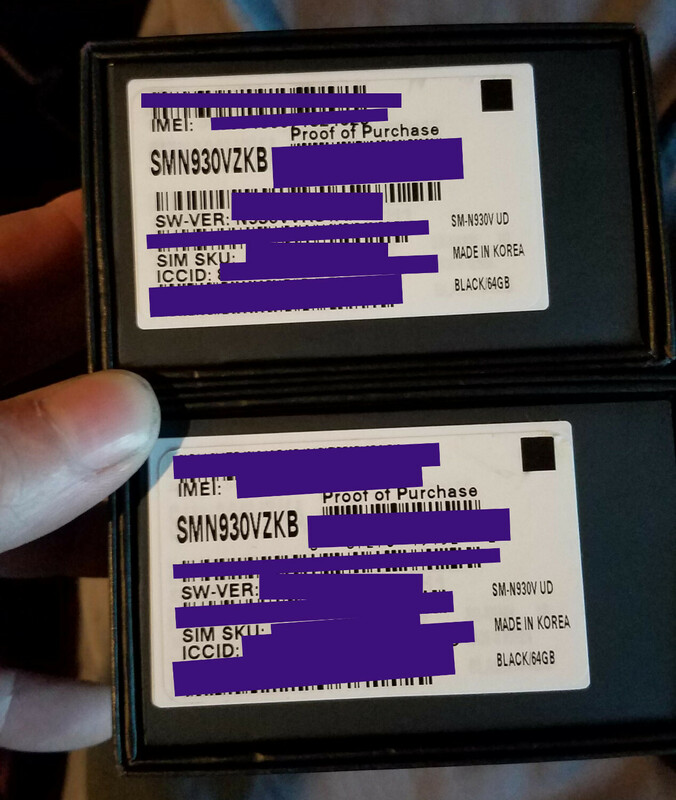 You can check the IMEI number on Samsung's website and see if it's good or you need to replace it. So there you have it, folks. If you're wondering why your new Galaxy Note 7 doesn't have that S sticker on the box, you shouldn't worry too much. Just check the IMEI number to make sure that you're getting a safe smartphones as replacement. Samsung needs to hit the reset button on the Note. Can't wait to see the results of the 830, 8895, and A11 Fusion... Can we make assumptions yet? IMO 8895 will be 2900 single core / 8500 multicore 830 2900 single core score / 7000 multicore A11 Fusion 5100 single core / 8500 multicore The A11 will be a beast!!! They should have renamed the replaced Note 7, maybe Note 7s for example. It would've made much more sense. Agreed maherk. 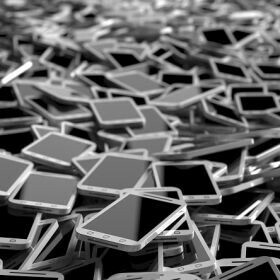 To be honest, I'm a little scared about the phones with bad batteries getting in the hands of retailers that sell refurbished electronics. But, let's hope this won't happen. Note7s? 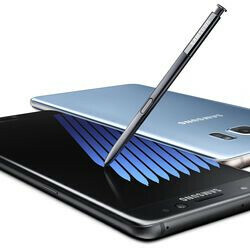 Oh, reverting back to Note6 would be a better renaming for the new Note7 units, IMO. IKR, the affected notes and new ones are the same, there isn't a single thing on the external side to differentiate the new models from the affected ones. 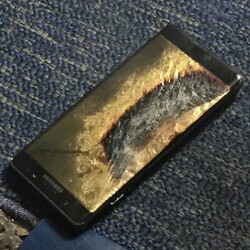 Samsung should have rebranded and repackaged the note 7. 9-23-16 hurry up, my black onyx version is waiting. black square version dont blow up as well..
Best thing is I didn't pre ordered the Note 7 instead made a mind till it comes to market. (lucky enough here) Anyways, the confusion won't end untill Sept 30 which is the official date to turn all defective Note7s off remotely, by Samsung. After that if Samsung sells the Note 7 at a much cheaper price like $600-700 (which most probably they would), then it would again gain a lot of consumers. As Note 7 was already breaking the records of previous Galaxies. So keep calm and wait till it arrives officially in the market. Before that, the Note users should be sensible and turn theur devices down by theur ownselves! Samsung did a mistake.. But it can happen with any electronic device after all ''mistake'' is sign of imperfection and everybody have that in common. well the note7 hasn't killed anyone like the iphone did and got swept under the rug. Not even one smartphone out there can do all what my Note 7 can do. I dont have any option. It's also the most beautiful device so far, by far compared to bezelful iphone 7, let alone this gorgeohs display, camera and the theming capability of the UX! So. When exactly will iphonearena start talking about the weird noises coming from the new iPhones reported by many many users ?? The answer is never :) As for the note 7 .... don't give a sh££t what anyone thinks.. it will remain as my phone till note 8 comes out. Or anyone else makes a true flagship that is better.